Unless you’re the Apples or Microsofts of this world, getting coverage for your news can be tough. Because "people don't buy what you do, they buy why you do it" - says Simon Sinek, author and keynote speaker on leadership and management. It’s true - would you share a story on another company’s latest recruit or product? Unlikely. Hövding’s product, while revolutionary, wasn’t new or indeed newsworthy. So we needed to dig deeper to find their higher purpose. Stories are what people - your stakeholders, customers, audience - seek to relate to. And if they can relate to their story and to what you stand for then they can relate to you as a brand. And this is sometimes all it takes to set you apart from a competitor. Every November in the UK, TV viewers eagerly await the latest John Lewis Christmas ad. Sure, they always feature their products in the commercial, but they go beyond self-promotion; they tap into the viewer's’ emotions. And year-on-year their ads are the most talked about and shared virally. For #GiveABeep, we chose to shift focus from product to purpose and, together with Hövding, we decided that all of the content we produced should be about the joy of cycling, not about their product. 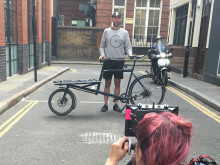 But in cycling there is both joy and danger, where, in cities such as London, this can come in equal measures. In the UK capital there is a high number of collisions between vehicles, pedestrians and cyclists on a daily basis and while Hövding’s air-bag cycling helmet can help significantly reduce injury, there is still more that can be done. By empowering cyclists with the digital bike bell, we enabled them to indicate dangerous cycling areas in London and voice their frustrations. 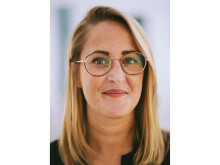 #100Million of course raised brand awareness for Hövding with traffic to their newsroom increasing by 279% during the campaign. But Mynewsdesk and Hövding "gave a beep" about more than just that. The campaign also won the D&AD Impact Award for “Creativity that contributes to a better world”. 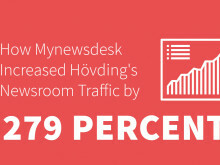 Hövding and Mynewsdesk gave a beep about storytelling and it paid off - not just for the brand but for the greater good. And that's exactly why brands should give a beep too. At Mynewsdesk, we firmly believe that no story should go untold and that every person and every brand has a story to tell.